The nominations for the Television, New Media, News, Radio, & Promotional Writing categories were previously announced on December 3, 2015. The Writers Guild of America, West (WGAW) and Writers Guild of America, East (WGAE) are labor unions representing writers in motion pictures, television, cable, digital media, and broadcast news. The Guilds negotiate and administer contracts that protect the creative and economic rights of their members; conduct programs, seminars, and events on issues of interest to writers; and present writers’ views to various bodies of government. For more information on the Writers Guild of America, East, visit www.wgaeast.org. 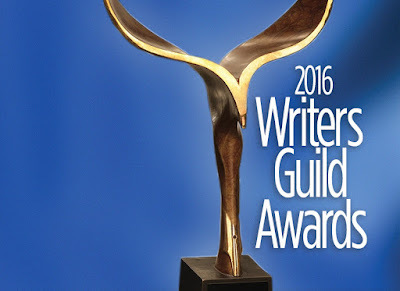 For more information on the Writers Guild of America, West, visit www.wga.org.